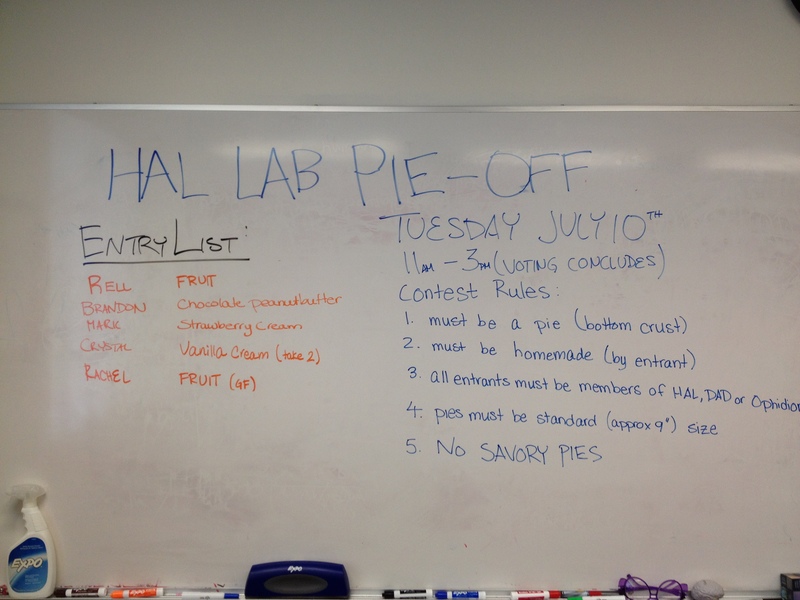 So, we’re having a pie-off at the lab. 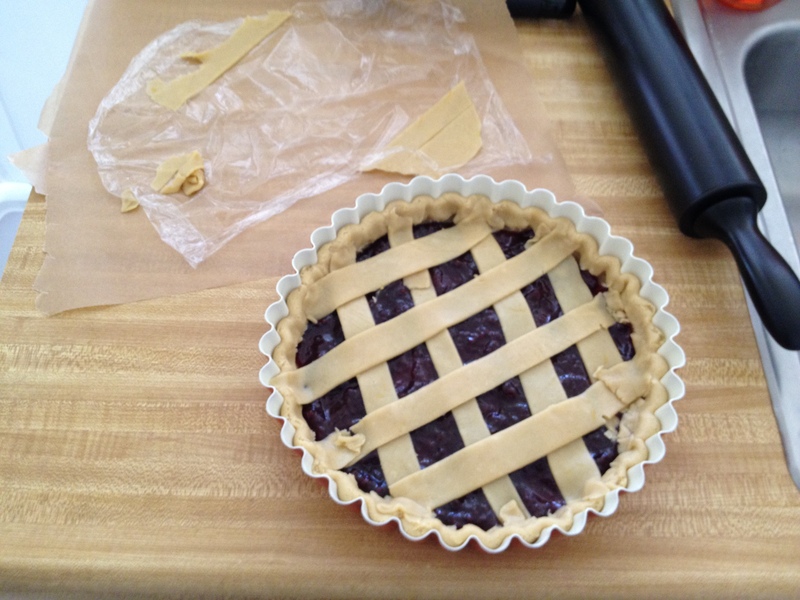 I have never made a pie before, let alone a gluten-free one (although, it might make it easier since I can’t overwork the gluten). I’ve decided to make a crostata di marmellata as I’ve been wanting to make one ever since the (ex)boyfriend brought me back preserves from Italy (I have a thing for preserves/jams). 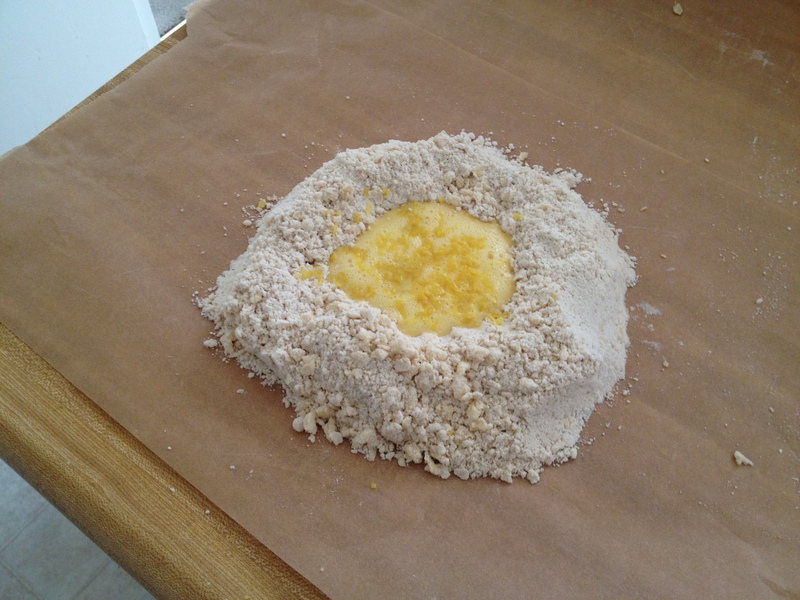 I’ve found a number of sites across the web with pasta frolla recipes (the shell) & ended up adapting this one to make it gluten-free using Pamela’s Bread mix (stay with me here). 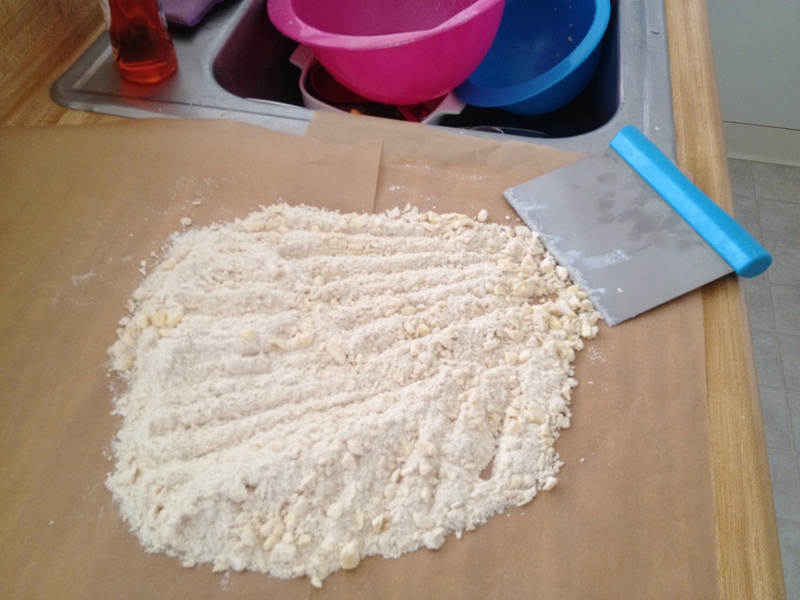 The bread mix already has xanthan gum, a little bit of sugar & some salt in it plus the flour, so I just added more sugar & the wet ingredients. Anyway, it turned out delicious, so I thought I’d share. Whisk together sugar and flours in a bowl. 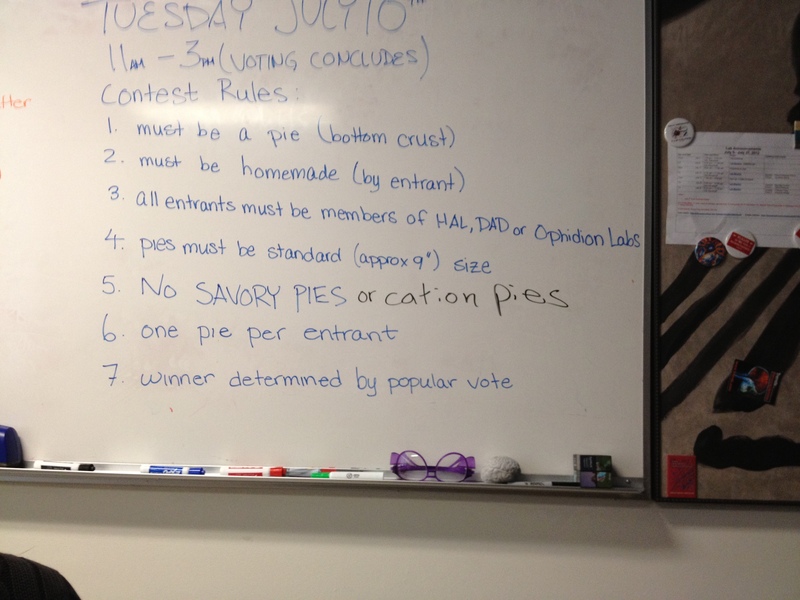 Heat the oven to 375ºF [190ºC/gas mark 5]. 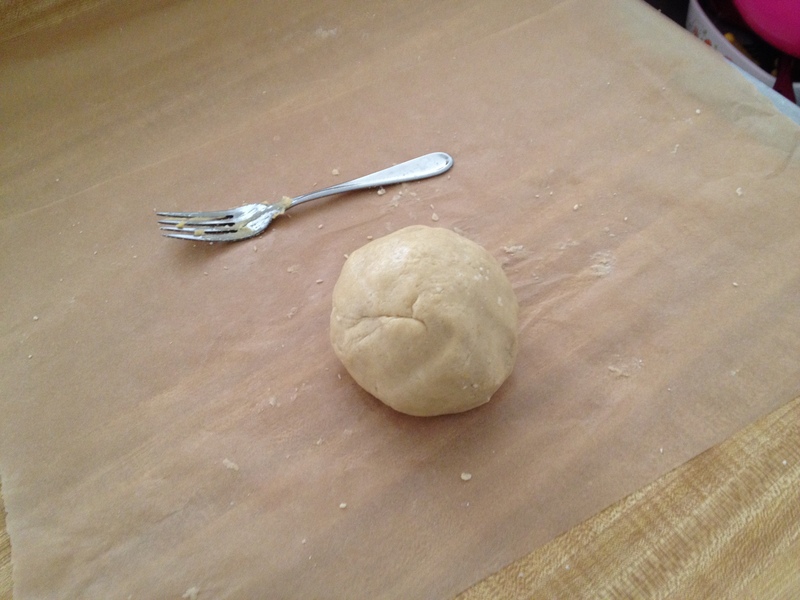 I kept the dough between two sheets of plastic wrap for rolling out and didn’t add any additional flour. 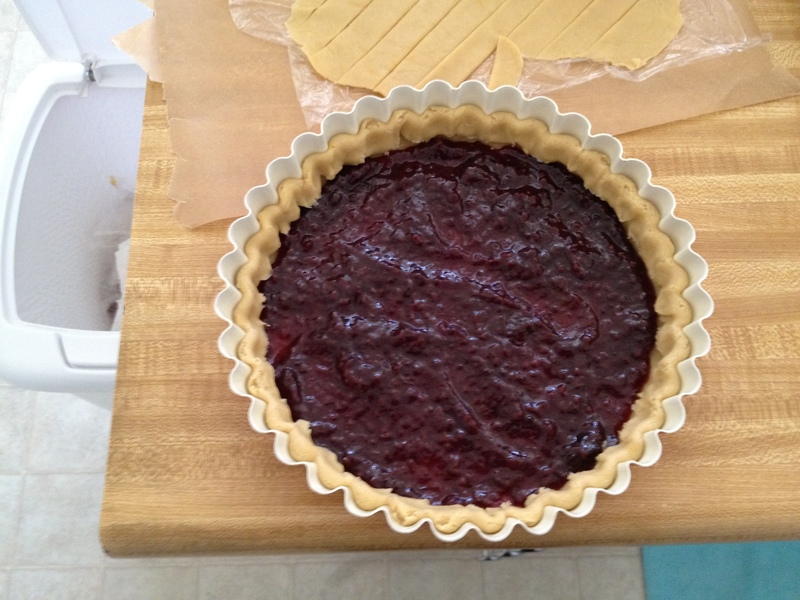 Spread the jam or fruit preserves evenly over the bottom of the crostata. 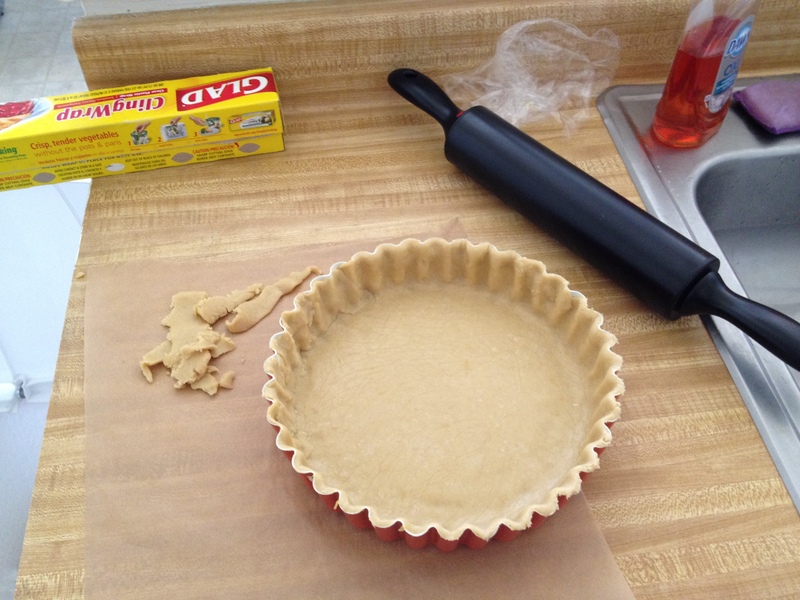 I then folded down the edges to meet the filling as my pie tin is kind of tall. 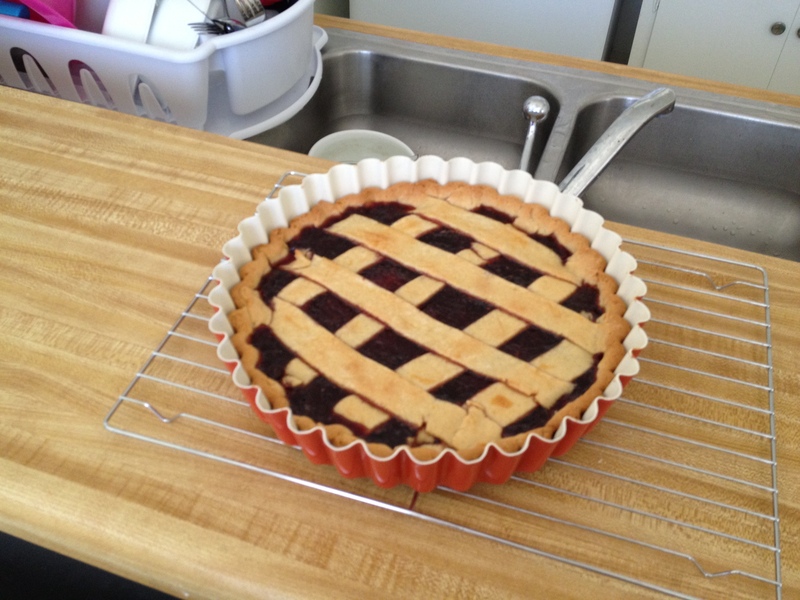 Use the prepared strips or rolls of dough to make a lattice over the surface, or decorate with the cut shapes. 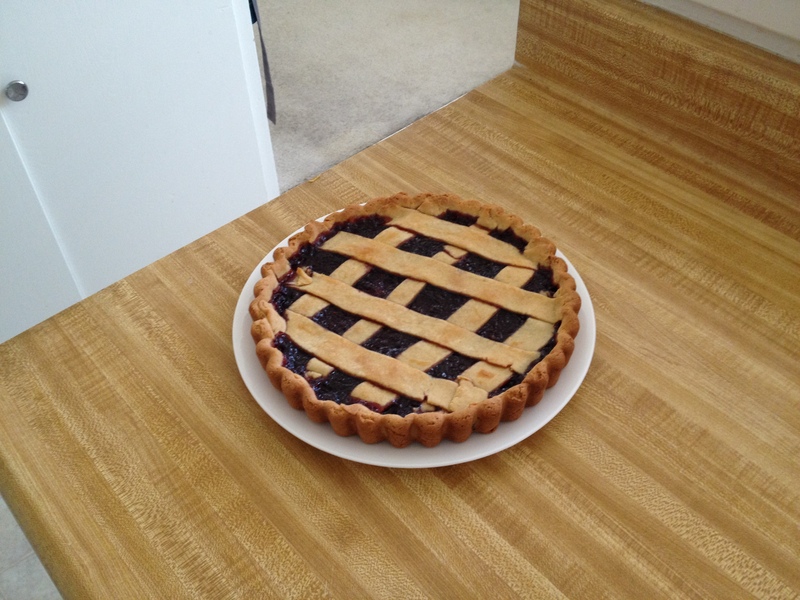 Put the tart in the oven and bake for 25 minutes.